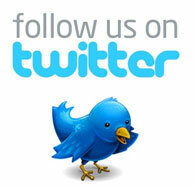 Expo Direct is an award winning Australian owned and operated Exhibition Company. It is one of Australia’s leading suppliers to the exhibition and event industry and excels in providing a range of quality products and services including shell schemes, custom stands, marquees, audio visual equipment, furniture, signage, graphics and electrics. At Expo Direct we believe that sourcing the perfect exhibition solution should be both affordable and hassle free. We specialise in developing the most eye-catching stands at prices that you can afford. Why is Expo Direct so cost effective? As well as running our own modern workshop and in house wide format printing department, Expo Direct maintains close relationships with a range of specialist manufacturers both locally and overseas. This allows us to cut out the middle men and deliver the most cost effective solutions to our customers every time. An Expo Direct Project Manager will discuss your needs, goals and budget before designing a solution that fits all these criteria. Easy access to the best possible prices from our network of proven manufacturers. The peace of mind and accountability of dealing with an experienced Australian company. We are proud to offer a range of options that are environmentally sustainable. Expo direct uses 100% renewable energy. 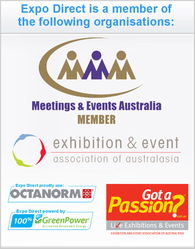 As a Gold member of the Exhibition and Events Association of Australia (EEAA) and member of the Meetings and Events Association (MEA) we adhere to all contractor regulations and comply with the Building Code of Australia including all other current statutory regulations and standards. We conform to the commonwealth and state regulations and Australian standards for electrical equipment and installation. At Expo Direct we focus on providing a flexible service that serves as a one stop shop. We are happy to mix and match our services to ensure the best possible exhibition solutions. Browse through our range of quality products or contact us on 1300 397 634 for immediate assistance.